I'm at Focus on Imaging nearly every year. 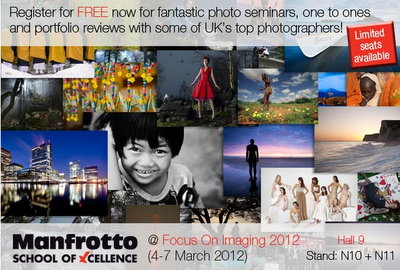 But this year is my busiest ever, on the Manfrotto stand AND Phase One, where I'm more normally seen. Hi Drew, I am popping over to the show, hope you dont mind me popping by and saying hello?